The Six Eyed Sand Spider (Sicarius hahni) is a medium-sized spider found in deserts and other sandy places in southern Africa. 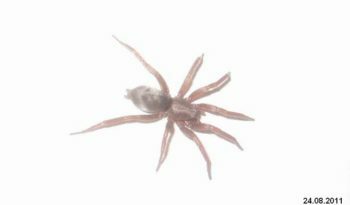 It is a member of the Sicariidae family and close relatives of this spider are sometimes found in both Africa and in South America. 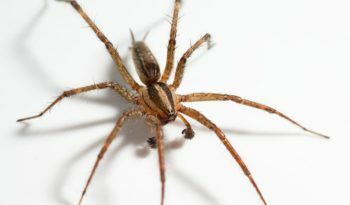 Its nearest relatives are the Recluse spiders (Loxosceles) which are found worldwide. 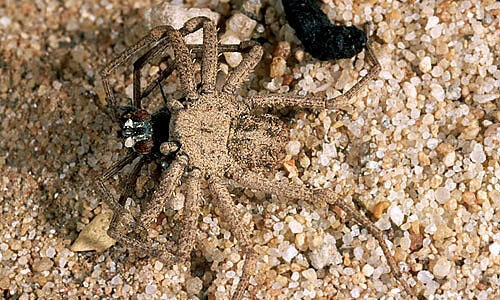 The Six Eyed Sand Spider lives in the desert and hunts by ambush rather than by spinning a web. Unlike most ambush hunters like the Trapdoor spider, Mouse spider or Funnel-web spider, it does not dig a burrow. 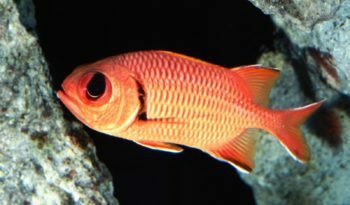 Instead, it buries itself just under the surface of the sand. Spiders reproduce by eggs laid in silk bundles called egg sacs. Spiders often use elaborate mating rituals (especially in the visually advanced jumping spiders) to allow the male to approach close enough to inseminate the female without triggering a predatory response. Assuming that the approach signals are exchanged correctly, the male spider must make a timely departure after mating to escape before the female eats them. Fortunately, this spider, like the Recluse spider, is very shy. However, toxicology studies have shown that this spiders venom is the most venomous of any spider. There is some question as to the danger posed by this spider. 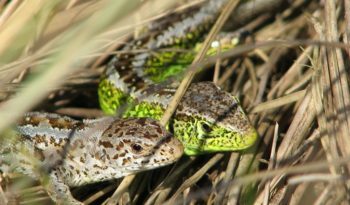 It is very shy and unlikely to bite humans and there are few (if any) recorded human envenoms by this species. However, toxicology studies have demonstrated that the venom is particularly potent, with a powerful haemolytic (the breaking open of red blood cells and the release of haemoglobin into the surrounding fluid) and necrotic (accidental death of cells and living tissue) effect, causing blood vessel leakage and tissue destruction. 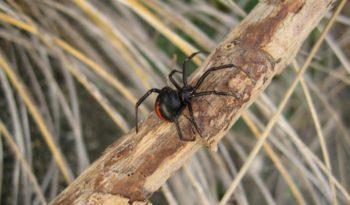 Unlike the dangerous neurotoxic spiders (the Widow spiders, the Funnel-web spider and the Brazilian Wandering spiders), no antivenom currently exists for the bite of this spider, leading many to suspect that a bite by this spider is likely to produce a fatality. There are no confirmed bites in man and only two suspected ones. However, in one of these cases, the victim lost an arm to massive necrosis and in the other, the victim died of massive haemorrhaging, similar to the effects of a Rattlesnake bite. The Six Eyed Sand Spider rarely comes into contact with people and even when it does, it generally never bites. Further, like most spiders, it does not always inject venom with every bite, nor, even when it does, does it necessarily inject a large amount.